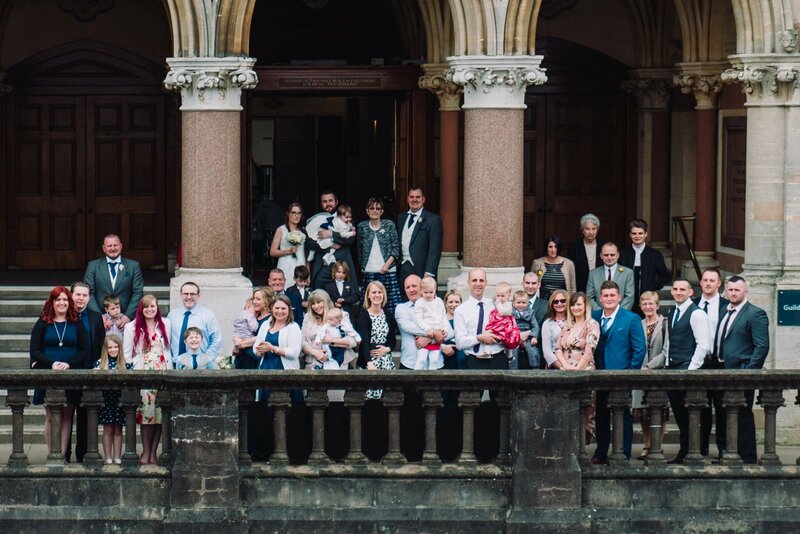 April 28, 2017 / STORIES OF "I DO"
Stories of I Do Wedding Photography are Leeds Wedding Photographers, but we love to travel across the UK or abroad for destination weddings. We were so excited to be travelling down south to Winchester last weekend to be photographing a wonderful spring wedding. The sun was shining for our happy couple, Luke and Claire. 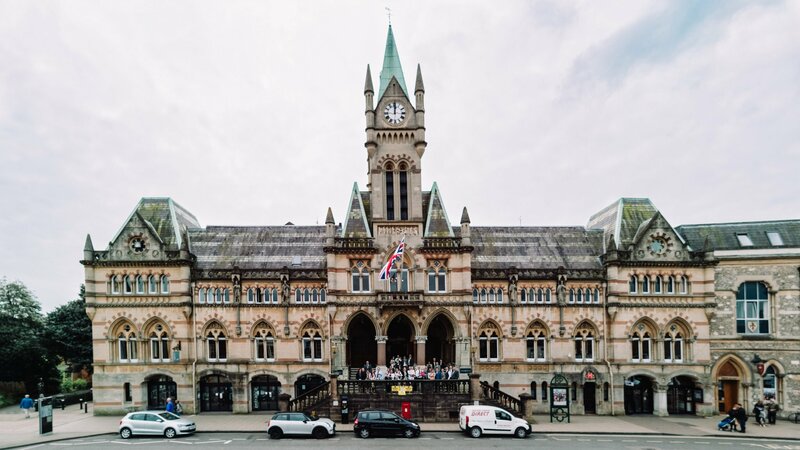 The wedding and reception all took place in the beautiful and rather stunning Winchester Guildhall. 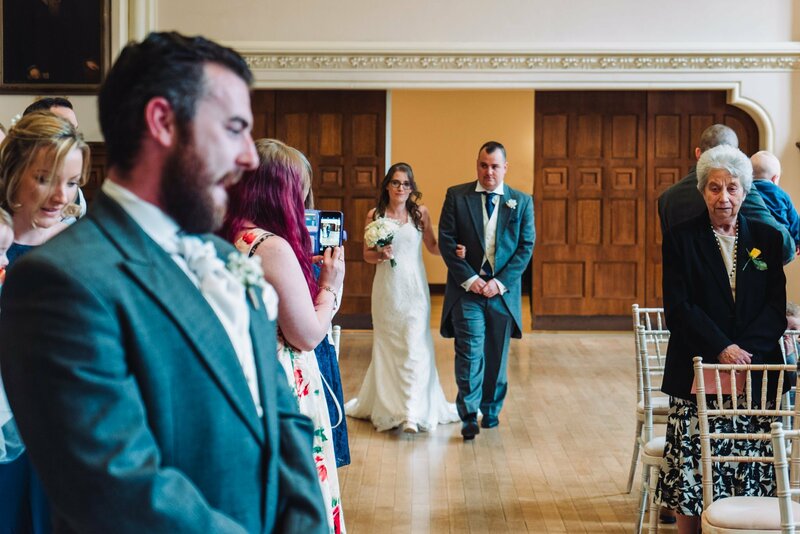 Luke may be the groom that has made us laugh the most throughout a wedding, but as Claire’s brother brought her down the aisle you could see Luke’s nerves! With such a grand building we had to make use of this with their group shot. Jon managed to take this photograph by asking the restaurant over the road if he could take a photograph from their second floor. We were the first wedding photographers to ask to do this so they were a little surprised but managed to open one of their windows that hadn’t been opened for many years! We were so glad we were able to do this as the photograph is spectacular. 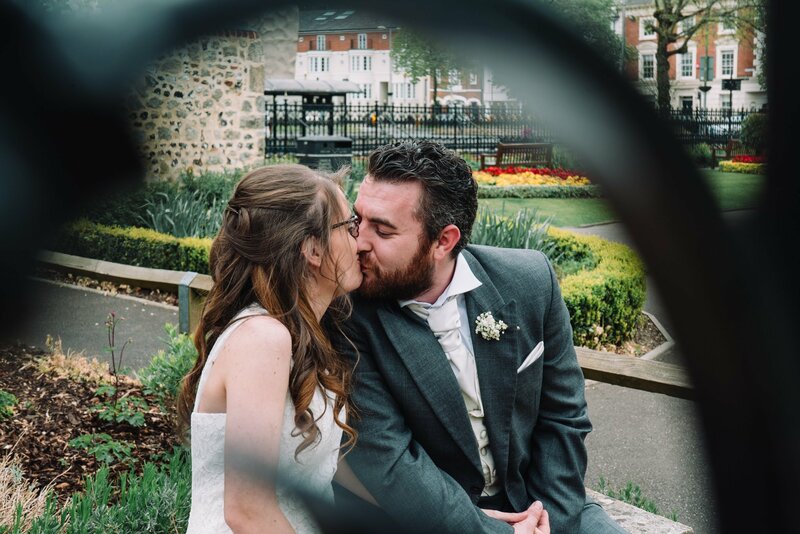 We shared a fantastic day with this new Mr & Mrs, taking some romantic portrait shots of the newlyweds in the pretty gardens just behind the Winchester Guildhall. 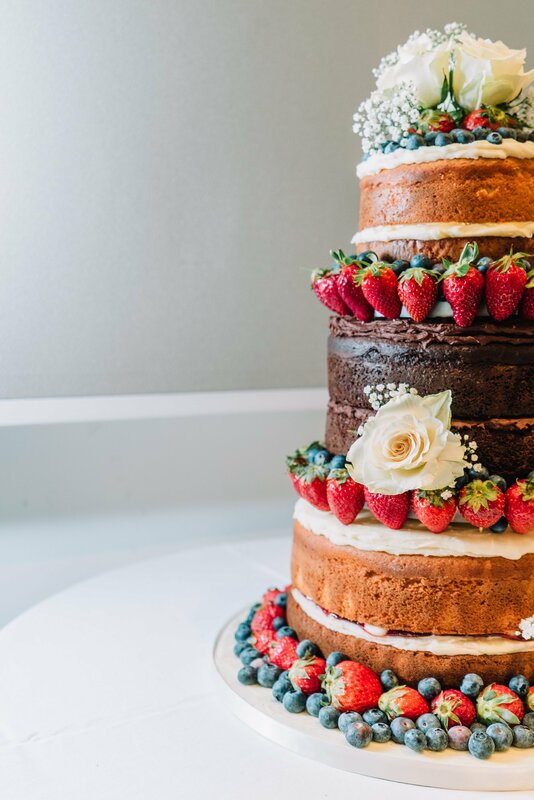 Finishing off their wedding photography sneak peek gallery is a photograph of their sensational naked wedding cake. Luke made sure that we both had a piece of wedding cake to take home and we can confirm that it tasted just as incredible as it looked! We are now home in Leeds and working through all of the photographs we took and editing so that we can get the album back to Luke and Claire soon. We are loving looking through all of the shots and candid moments and will share them soon! R + J | Temple Newsam House Wedding Photography STORIES OF "I DO" Sneak Peek – Sarah and John | Springkell Wedding Photographers STORIES OF "I DO" Dimple Well Lodge Wedding | Rachel & Tony STORIES OF "I DO"